Rue des Barres is one of those quintessential Parisian streets that everyone should experience. Not much there - a shop, a cafe, an old church. 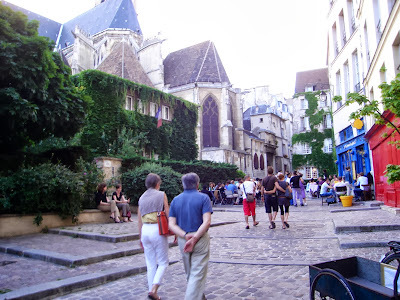 A way to get from the riverbanks into the heart of the Marais. But it is also a way into the heart of history. lovely image and invitation into the heart of Parisian history. I feel as tho I am on tour when I visit this blog. Very nice.